Summer officially began June 21—a mere two weeks ago. With record temperatures already on the books, it’s turning out to be a scorcher of a summer and has all of us looking for ways to cool down. Water parks become the shining beacon in the sizzling heat. Out-of-school and bored kids are entertained for hours splashing around in the cool waters and navigating slides, while parents can stick their toes in the water and float endlessly along those lazy rivers. 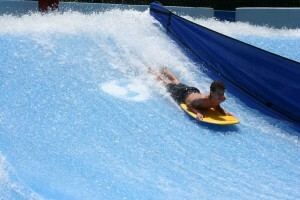 In Greenville County, there are three water parks to choose from—all are open seven days a week. Discovery Island in Simpsonville features two water slides, a lazy river, and a flow-rider along with a large leisure pool surrounded by cabanas and sundecks. 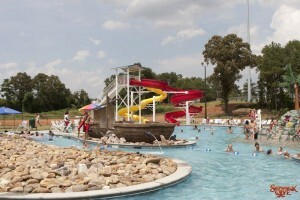 Otter Creek at Northside Park in Greenville has four water slides, a 32-foot tower and a leisure pool with a beach entry. In Piedmont, 7th Inning Splash boasts three water slides, a Wrigley Field spray pad with 30+ water features, and a junior Olympic sized pool. All three facilities have public locker rooms and concession stands. Check the websites before heading out for hours and prices. Season passes are also available for all three Greenville County water parks, or you can purchase a Rec’N Crew Annual Pass, which includes all three water parks, ice skating, and the Bounce House at the Pavilion. 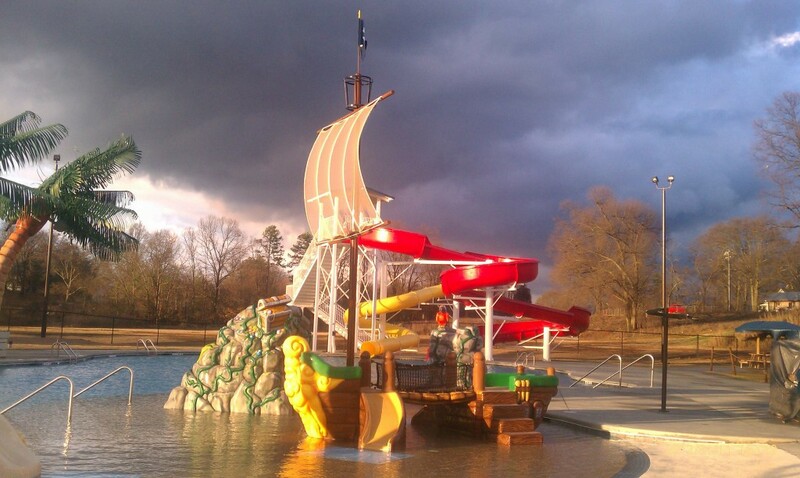 On Spencer Street in Duncan, Shipwreck Cove is a pirate-themed, family-friendly water park. It has a kiddie pool and play area, a larger pool with water cannons, two large water slides, lazy river, shaded shelters and concessions. In addition to area water parks, public pools can also offer respite from the heat. 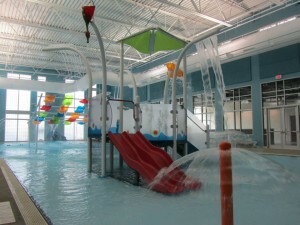 The Westside Aquatic Complex on Blue Ridge Drive in Greenville offers two indoor pools and a fun zone. The Kroc Center in downtown Greenville has a 25-yard, 6-lane lap pool which can be used for leisure lap swimming and a zero-entry pool which features a full-sized water slide. In Spartanburg, the C.C. Woodson Community Center offers a public swimming pool, and there is also public pool in the city of Westminster. Many of the area YMCA locations also have pools that are available for use with a membership. And, of course, you can cool off at any of the many area lakes and rivers. So bring some towels and sunscreen and enjoy the water this summer. Sherry Jackson’s love of travel came at a young age. Her family would load up the car on the weekend, pick a destination and set off to explore. She has traversed thru jungles, snorkeled the turquoise waters of the Caribbean and wandered the streets of Paris, always searching for her next adventure. Her articles have been featured in a variety of outlets including USA Today, Blue Ridge Country, Foothills Spotlight Magazine, Jetsetter, Bootsnall, Gadling, Yahoo, CityRoom, The Simpsonville Sentinel and countless other print and online publications. She owns and maintains four websites (www.seethesouth.com , www.dragonflyventures.com, dvtravels.net and www.rulesforeveryday.com). 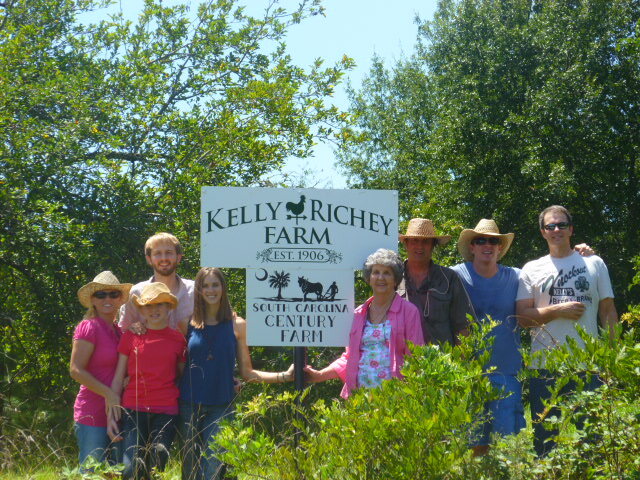 Sherry is a member of the International Food, Wine and Travel Writers Association (IFWTWA) and the North American Travel Journalists Association (NATJA). Her work can be viewed at www.dragonflyventures.com. With manicured vineyards and long-range views of the Blue Ridge Mountains, the luxurious Hotel Domestique is perched atop 29 acres of rolling hills amongst fountains, lush gardens, and courtyards.